Principal Medical Officer for Epidemiology in the Ministry of Health, Dr. Karen Webster-Kerr. The Ministry of Health is appealing for persons to cooperate with interviewers, who will be in the field gathering data from September 1 to December 31, for the third Jamaica Health and Lifestyle Survey (JHLS III). The survey will be carried out in households across the island by well-trained teams from the Ministry and the Caribbean Institute for Health Research (CIHR) of the University of the West Indies (UWI), formerly the Tropical Medicine Research Institute (TMRI). The goal of the study is to find out how many Jamaicans are affected by chronic diseases such as diabetes, hypertension, heart disease, asthma, kidney disease and cancer or have risk factors for these conditions. The JHLS III is a community-based study of persons 15 years and older to determine current dietary intakes, lifestyle and behaviour patterns that have an impact on the occurrence and control of chronic diseases in Jamaica. 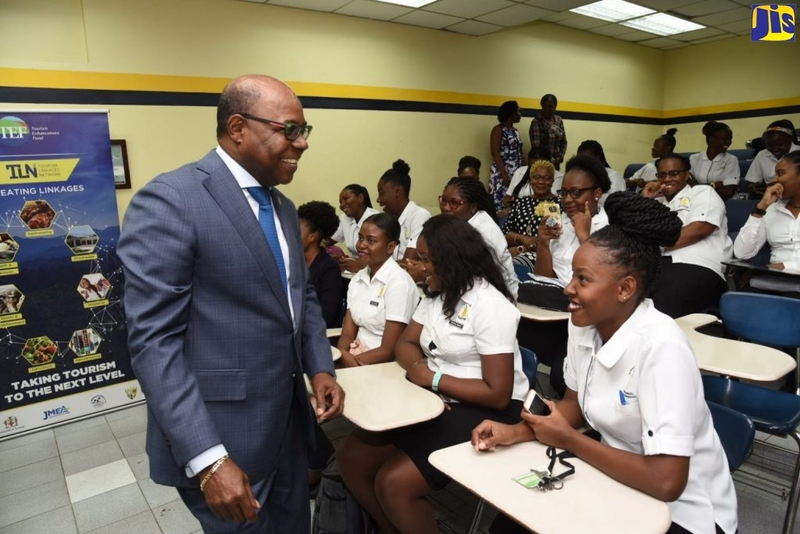 It will be carried out in households across the island by well-trained teams from the Ministry and the Caribbean Institute for Health Research (CIHR) of the University of the West Indies (UWI), formerly the Tropical Medicine Research Institute (TMRI). Principal Medical Officer for Epidemiology in the Ministry, Dr. Karen Webster-Kerr told JIS News that the information being sought would inform the national strategy to improve the health of Jamaicans. The last study was done in 2007. “These are important statistics, which we need for planning purposes,” Dr. Webster-Kerr said. “The team will ask questions about the health of persons being surveyed. They will also take measurements such as height and weight. They will check blood pressure, administer tests for diabetes, cholesterol and other problems that are common to Jamaicans,” she explained. “The Ministry is asking persons to participate in this important exercise. It could actually redound to their benefit, because the testing will be done for free and persons found to have health issues will be referred to a physician for further management,” she further informed. The survey will be conducted in all parishes in randomly selected communities. The goal of the study is to find out how many Jamaicans are affected by chronic diseases such as diabetes, hypertension, heart disease, asthma, kidney disease and cancer or have risk factors for these conditions; accidents and violence (intentional and unintentional injuries); and Chikungunya, Zika and other mosquito-borne infections. Dr. Webster- Kerr will lead the research team from the Ministry, while Principal Investigator, CIHR, Rainford Wilks, will head the researchers from UWI.